Managing your brand reputation online can be tricky. Today, there are multiple social networks with various content sources to monitor and digital marketers frequently find it difficult to pin down and measure the exact influence of their PR and email campaigns accurately. In a world of constantly posted tweets, status messages and blogs, the volume of data being generated is immense and it’s a herculean task trying to sift through what is relevant and in relation to your brand and your company. Developed specially for digital marketers who require an in-depth assessment of their brand reputation online, it lets you analyze mentions in news items, the effectiveness of PR and email campaigns and lets you take stock of specific keyword trends. This tool enables you to monitor a large part of the social media universe including forums and blogs from a single platform. 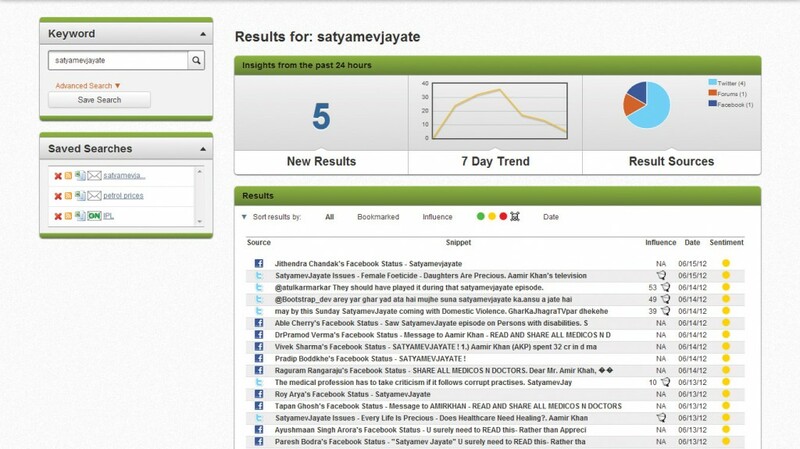 Social media monitoring has never been this easy! Extensive Keyword Analysis: Using the Online Reputation Management Tool, you can analyze and track keywords not only across social media, but also on blogs and discussion forums. 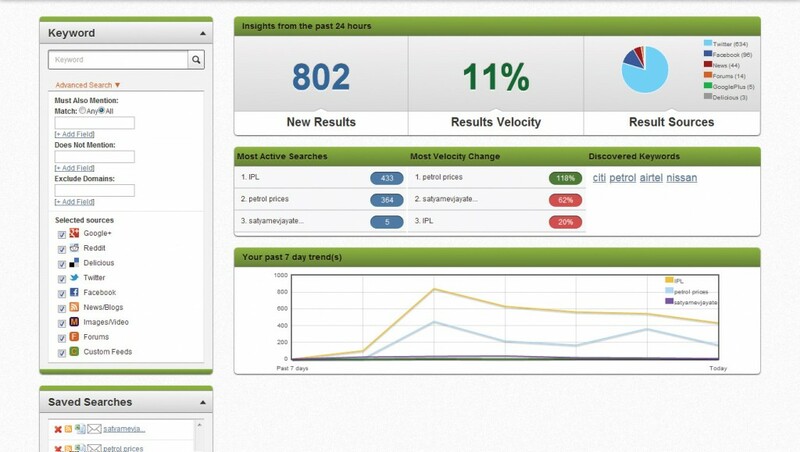 Powerful analytics tools make data visualization easier and help you break down keyword behavior. Real-Time Trends: You can use this tool not only to observe the impact of past marketing campaigns but you can also analyze changes in keyword trends in real time. Set up watch-points on topics of interest and see trends as they shape up. This gives you the ability to adapt your campaigns based on the flow of interests and conversations of your target audience. Cross-Network Functionality: This tool provides attributes of different social networking sites in one place. Which means that you get the ability to save search keywords, bookmark specific posts, reply to tweets and re-tweet from within the tool itself. Sentiment and Influence Metrics: With this versatile tool, we’ve also made it easy to gauge the prevalent sentiment online about your company and campaigns. You can set four ‘sentiment levels’ (Green, Yellow, Red and Dangerous) for social media posts. Simultaneously, this tool also provides you with details about social media users like their online influence, online activity and number of followers. The Online Reputation Management Tool is a unique product that completely changes the manner in which digital marketers analyze and implement their digital campaigns. It provides immense flexibility and reach across the social media spectrum and enables you to help shape how your brand and reputation is perceived online. You can get more information and details about this powerful new product here.